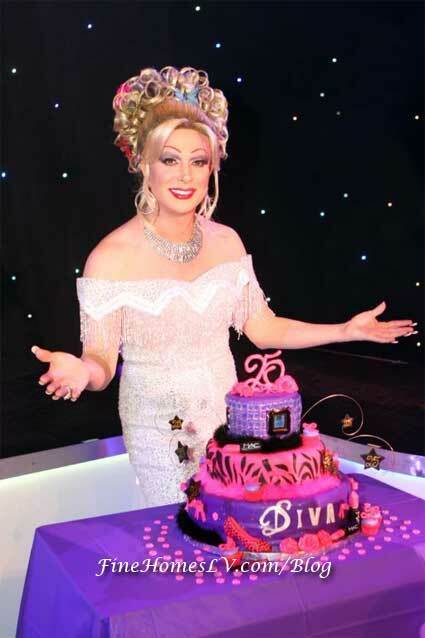 Marino received a belated congratulations for his 25 years due to two unplanned surgeries, Marino returned to the Divas Las Vegas stage at the Imperial Palace hotel this week. Festivities were planned for last Thursday but Frank was admitted to the hospital. After the regular show, executives from SPI Entertainment presented Marino with a divalicious cake that included rotating images of Marino through the years mini TVs and edible lipsticks. Kind words and warm congratulations were offered during the celebration.